For this morning’s breakfast, as my wife and I were hosting both of our parents, I decided to make an easy-to-prepare slow cooker meal. After a bit of searching, I found a recipe for Overnight Crockpot Banana Bread Oatmeal on the i heart eating website, and knew I had to make it. Why? 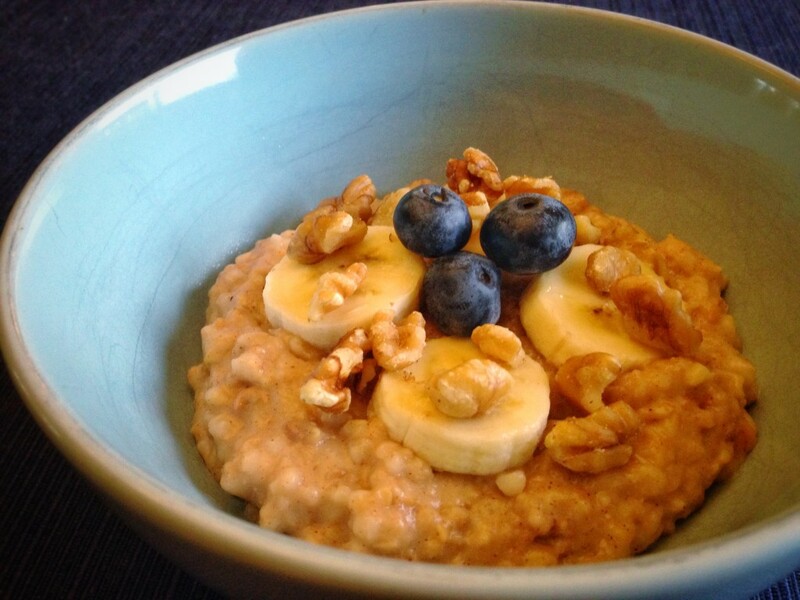 Well, oatmeal is hands-down one of my favorite breakfasts. Also, banana bread is one of my mother’s most famous recipes that is my personal favorite comfort food that she makes. So pairing the banana bread flavor with oatmeal seemed like a perfect fit for a comfort food breakfast on a chilly college football Saturday. In addition to pairing two of my favorite foods in one breakfast dish, this recipe also served another momentous purpose: It’s my 50th recipe for my 50 in 15 Challenge, officially wrapping up a successfully-completed challenge. The end result was indeed a comforting, delicious, and healthful bowl of pure goodness. It paired perfectly with a nice warm cup of coffee, a side of fresh fruit, and a few slices of my mom’s homemade banana bread (which she graciously brought down as a treat for us). If you’re in the mood for an easy set-it-and-forget-it breakfast, give this recipe a shot. You’ll be glad you did! Tonight, my parents were in town visiting after they hosted us for Thanksgiving, and my mom and I teamed up to tackle a new recipe for my 50 in 15 Challenge. 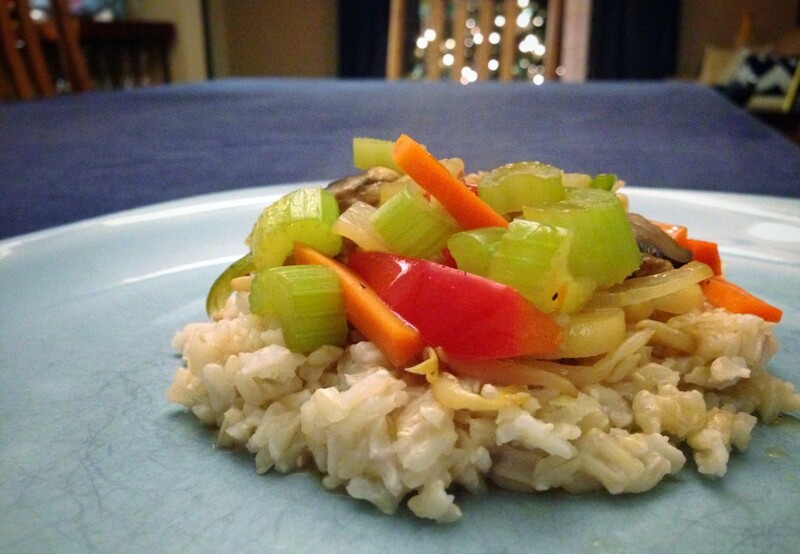 And after listening to my dad’s Thanksgiving sermon on Wednesday night, in which he reminisced about his late mother who would’ve been 98 years old this Thanksgiving, I was inspired to make one of her famous dishes — Chop Suey. But there was a catch: No one has the actual recipe. She had it in her head, and just made it from memory. So up front, I knew there was no way to replicate it to give my dad a completely accurate representation of one of his favorite childhood meals. But after some recipe searching and brainstorming with my mom, we came up with a recipe that was at least darn close to what they remember from grandma. The end result was a delicious, healthy, and comforting dish. And more importantly, it got a thumbs-up from my dad, who was delighted with our nod to his mother. A few days ago, I was making a “small plates” style dinner for my wife and I, and was inspired to make some brie as an appetizer. A friend of ours had told us about a recipe she had made, involving wrapping crescent rolls around Brie and jam. 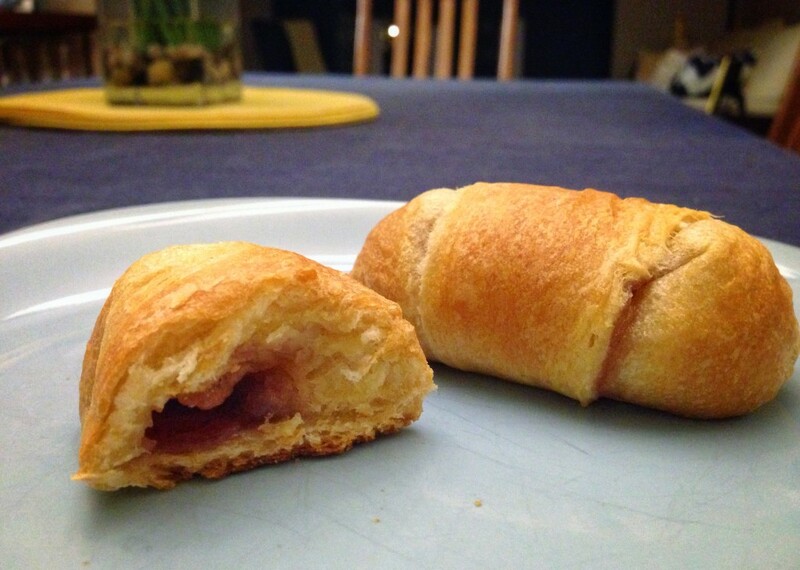 After looking at the recipe, I decided to try my own variation on it by making individual crescent rolls stuffed with Brie and jam, rather than one big serving. And since this was a new recipe for me, it was a perfect chance to add another entry into my 50 in 15 Challenge. I have to admit, the end result was nothing short of phenomenal. These bad boys are easy to make, and are perfectly creamy and utterly delicious. They’re a perfect appetizer for a meal, offering a creamy and sweet addition to the menu. Trust me when I say that you really need to make these for yourself — you’ll be glad you did!